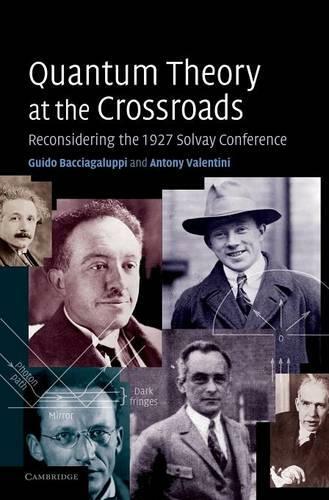 The 1927 Solvay conference was perhaps the most important in the history of quantum theory. Contrary to popular belief, questions of interpretation were not settled at this conference. Instead, a range of sharply conflicting views were extensively discussed, including de Broglie's pilot-wave theory (which de Broglie presented for a many-body system), Born and Heisenberg's 'quantum mechanics' (which apparently lacked wave function collapse or fundamental time evolution), and Schroedinger's wave mechanics. Today, there is no longer a dominant interpretation of quantum theory, so it is important to re-evaluate the historical sources and keep the debate open. This book contains a complete translation of the original proceedings, with essays on the three main interpretations presented, and a detailed analysis of the lectures and discussions in the light of current research. This book will be of interest to graduate students and researchers in physics and in the history and philosophy of quantum theory.